When you are having a new baby a maternity photo shoot is one of those things that you just can’t wait to do, but it’s also stressful! There is a lot to figure out and finding the perfect maternity photoshoot dress can feel very overwhelming. 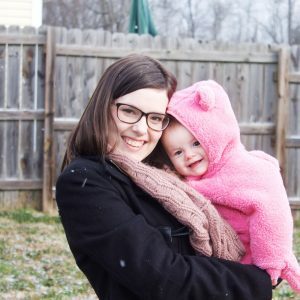 When I was pregnant with my first I spent countless hours looking at Pinterest and Amazon looking at ideas. These pictures would be something I would cherish forever, so the pressure was on. 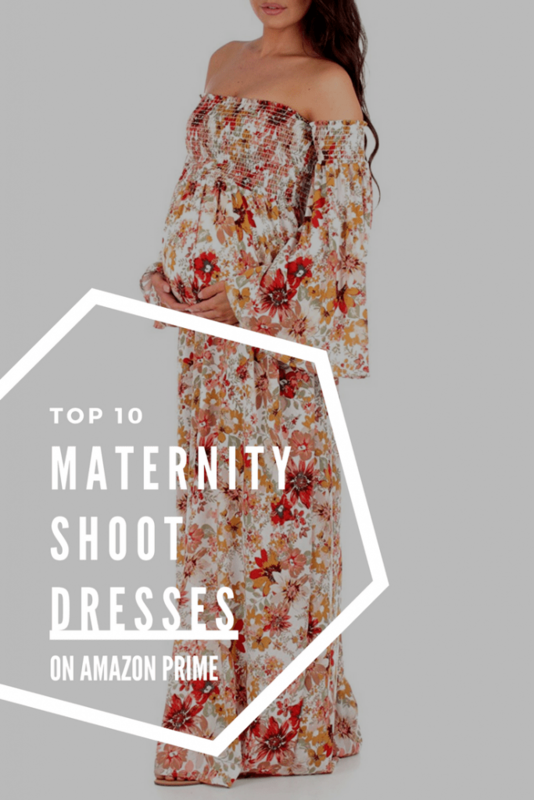 This roundup of some of the top rated maternity photoshoot dress on amazon prime will hopefully help take some of that stress off your shoulders. Before we start- if you don’t have Amazon prime you can start a free trial today! Click over and make sure to start an Amazon Family prime account so you’ll get all the perks they offer on diapers and more! Getting ready for baby to be here? Make sure to check out our free eBook! 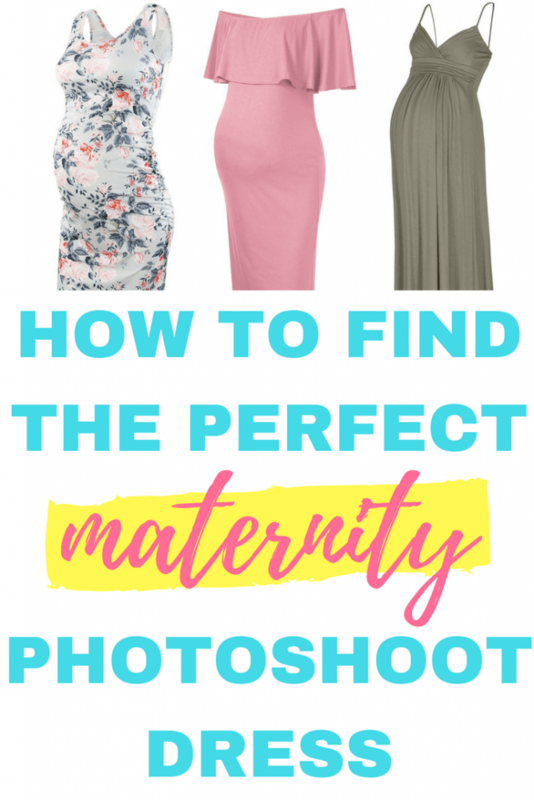 The first thing you want to look at when finding the perfect maternity photoshoot dress for your photo shoot is the color or pattern. Compile a Pinterest board with your favorite photos. Once you’ve done this ask yourself a few questions, do you prefer a pattern or color? While patterns are pretty, they can also be distracting if it is too bold. Using solid colors can make it much easier to find a corresponding outfit for your significant other. Think about how the color or pattern of your dress will interact with your surroundings during the shoot. For example, don’t choose a green dress if you are going to be surrounded by trees and grass. This is another instance where a Pinterest board of your favorite shots will come in handy. Find pictures with similar backgrounds and see what colors the couples in the pictures wore. Also, ask your photographer! They will know the area and time of day well enough to give you good suggestions. Another aspect you’ll want to look at is the fit of the dress. While this part may depend on your body type more than anything, I have a strong opinion that you should go with something at least slightly formfitting. You are taking these photos to celebrate the bump- make sure to show it off! 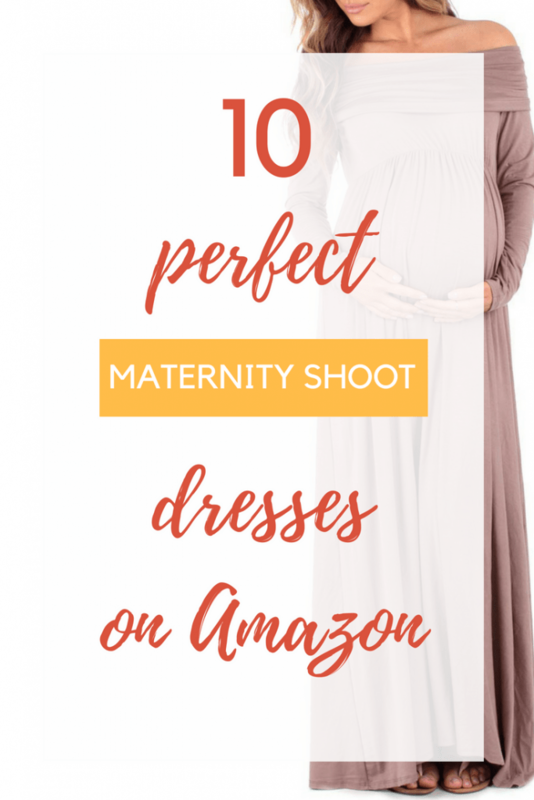 There are smaller things you’ll need to consider in a maternity dress for photo shoots as well is length, neckline, and fabric. Think about what will work best with your body type and with your bump of course. 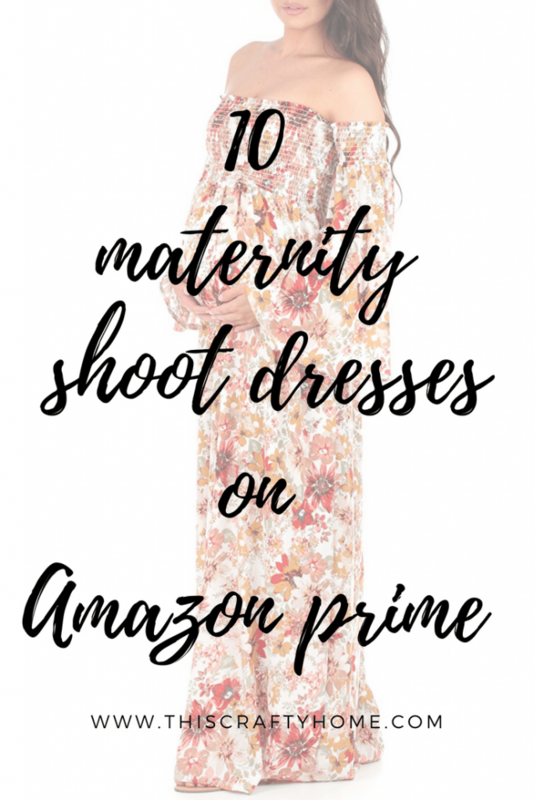 Now that you have all your thoughts straight on what type of maternity dress you want for your photo shoot you’re ready to take a look at the list below filled with great options. The dresses we’ve picked out vary in length, fabric, color, and pattern. They also had to meet the criteria of having a four-star rating or higher on Amazon plus be available for prime, because who doesn’t need 2-day shipping in their life? 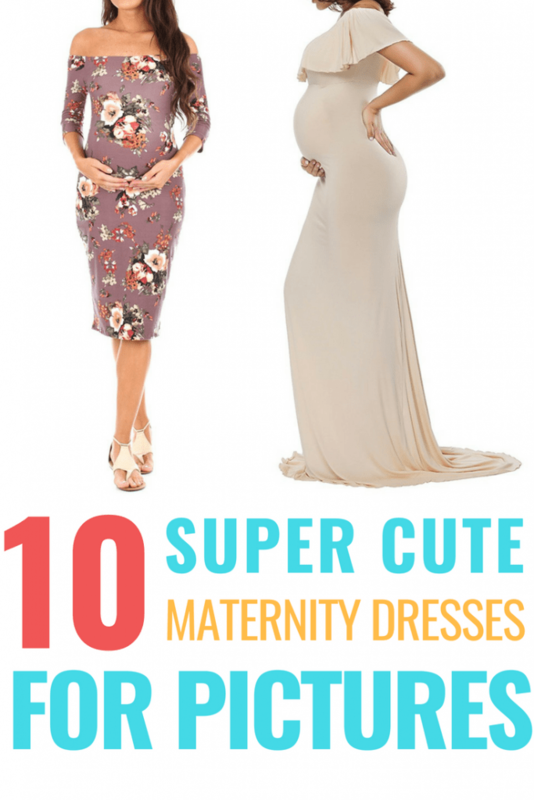 This maternity dress is straight up beautiful! The colors offered gives you options at any point of the year. I can’t resist a pretty floral pattern, and this one knocks it out of the park. 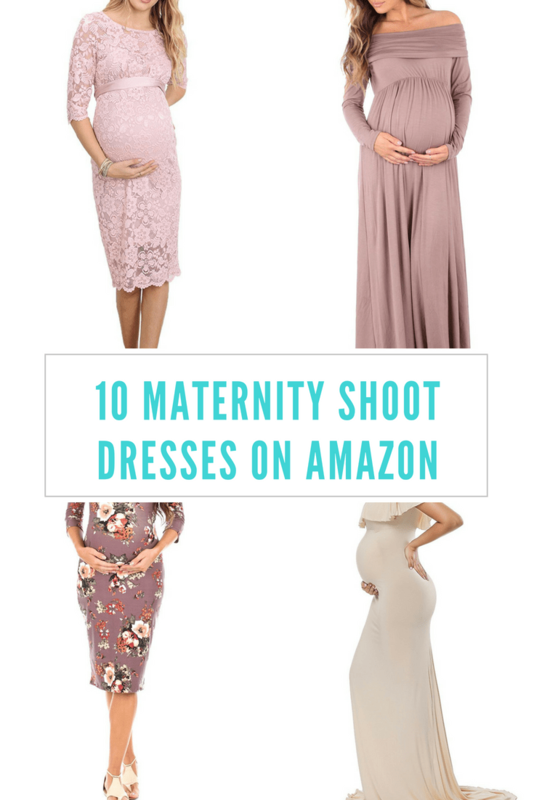 You could partner maternity photoshoot dress with a long shaw and it would really shine. 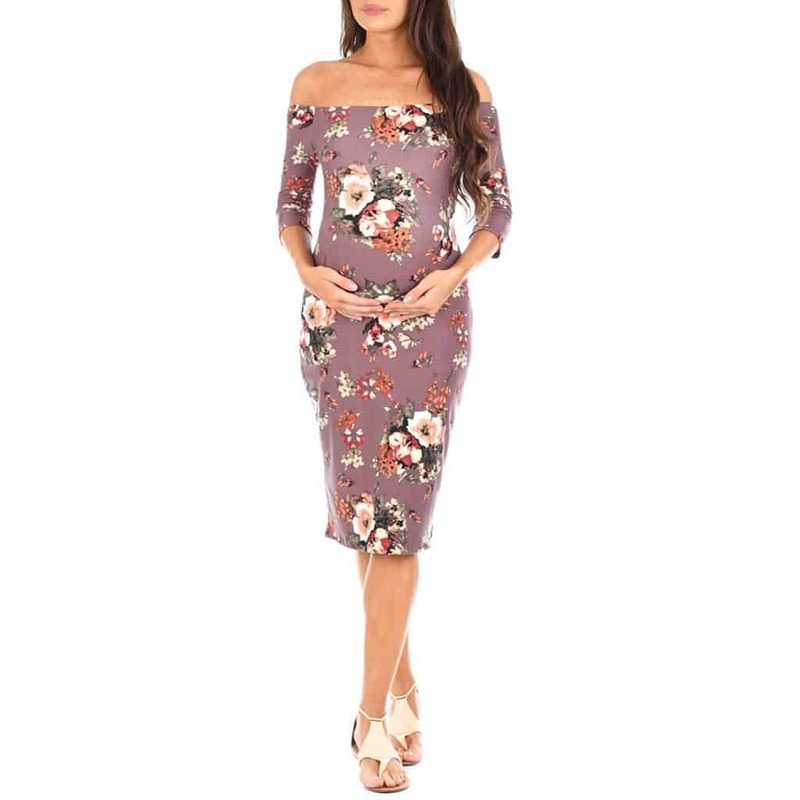 This is one of those maternity dresses that is just a show stopper. While you can’t wear this again for other functions it is simply beautiful gorgeous. 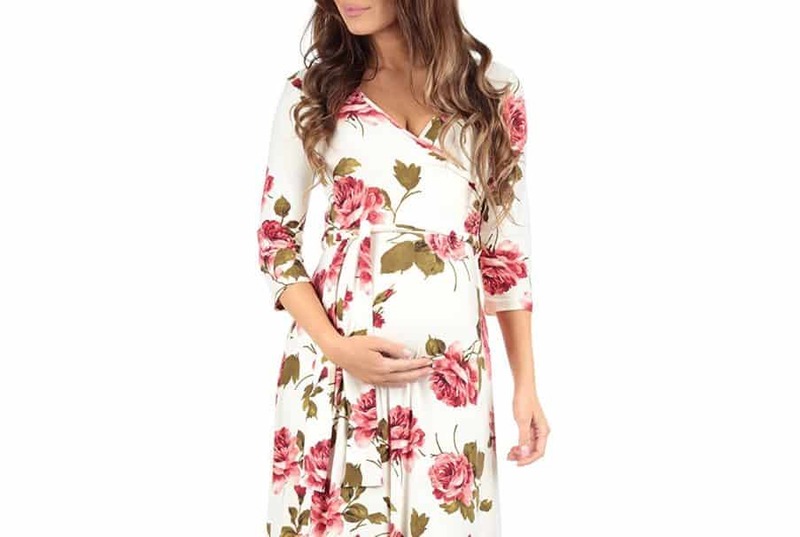 This maternity dress is a great option for spring or summer! Make sure to pick a color that will look good with the photo background. 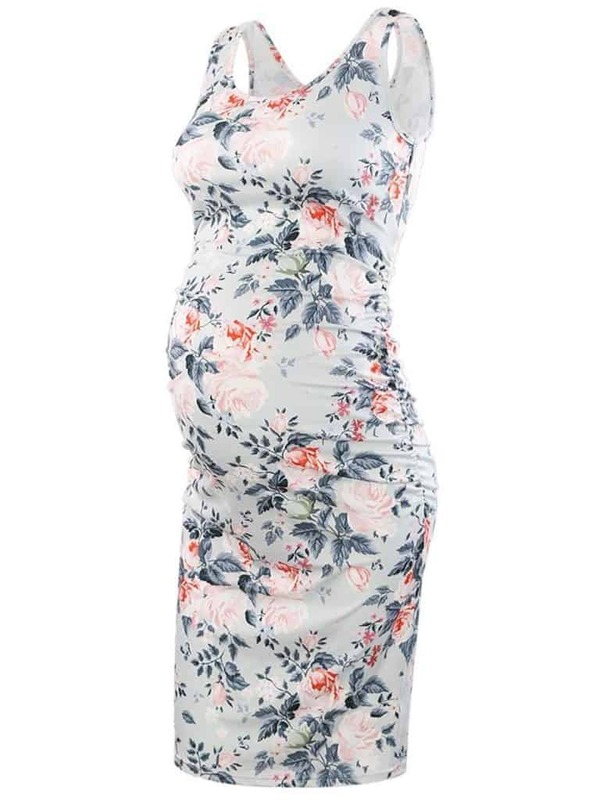 I completely SWOON over this maternity photoshoot dress. The bell sleeves and airy features make it perfect for every body type and just about any season. Lace is one of those timeless things that just looks classic. This lace maternity photoshoot dress is perfect for any pictures or even a baby shower. 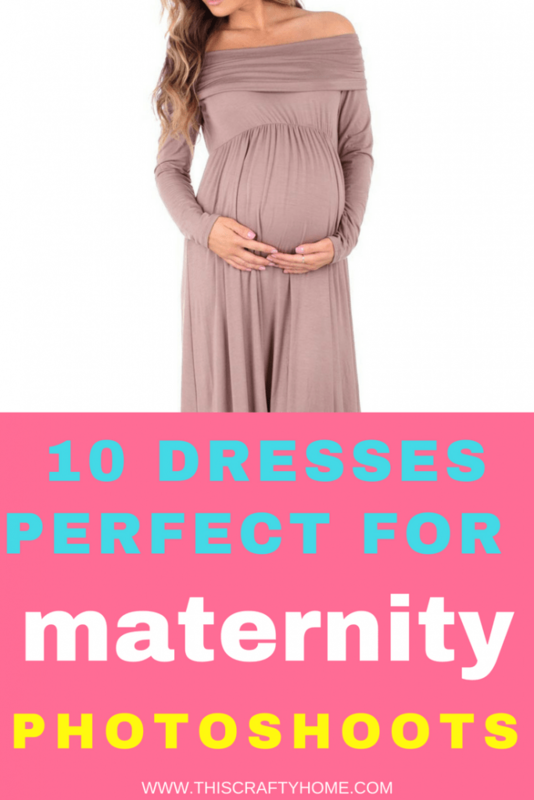 This maternity dress is a great super fitted option that will really show off those curves! 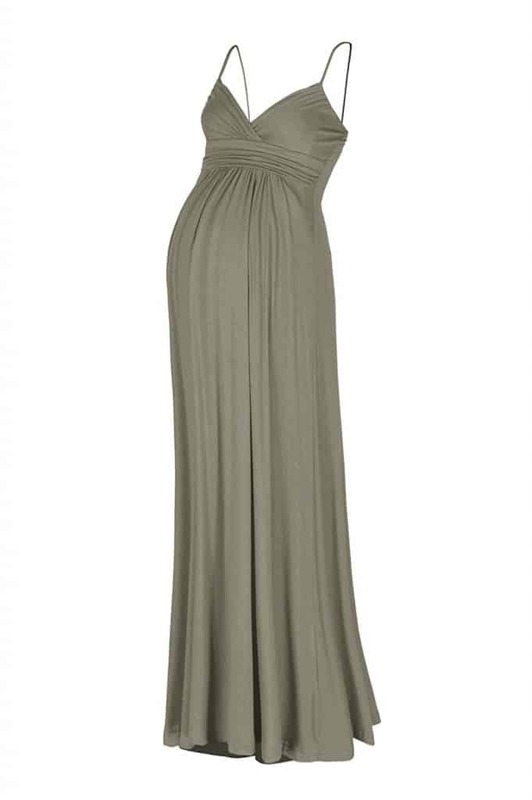 I love the color of this maternity dress but I am going to admit to you it may not be the best for a green summer day. If you like the style as much as I do it would be great for a maternity photoshoot in the fall or winter! 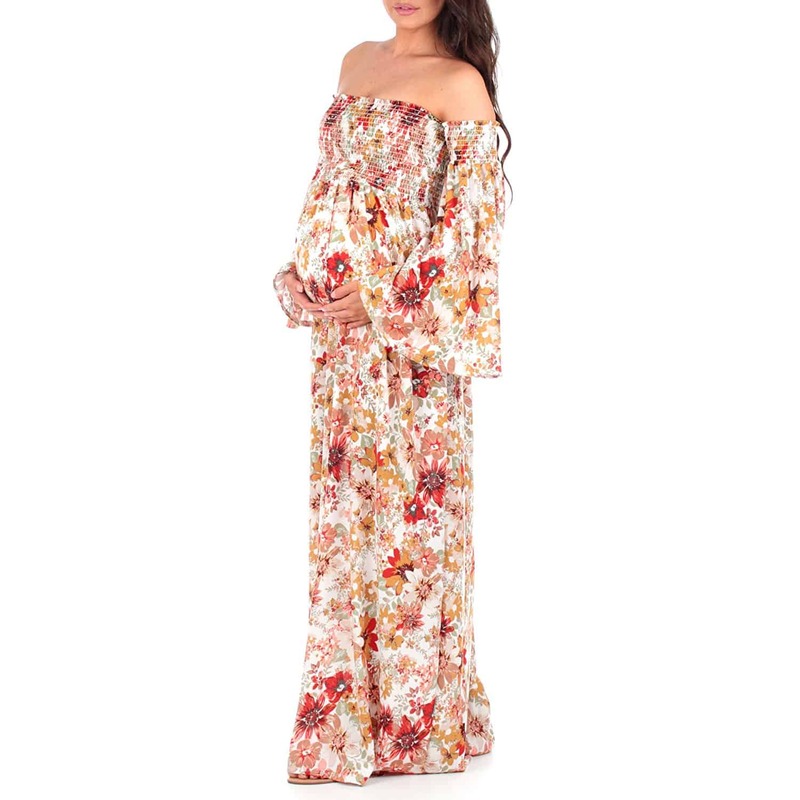 This is one of those maternity photoshoot dresses that just makes you look magical. I love how a certain style can just bring a picture to life! This lace photoshoot maternity dress is such a classic option! If you love lace like me it is a perfect fit, and any of the colors will look great in maternity pictures. The long flowy bottom half gives me total heart eyes. There you have it! All 10 of these are stunning options, and hopefully, there is one that speaks to you in this list. Make sure to comment your favorite down below! Need tips on taking your maternity photos yourself? Check out my post on that here!